Over the past 3-5 years, the phrase ’mental health‘ has exponentially grown in awareness amongst the British public. This is all thanks to the likes of Prince Harry’s and Prince William’s campaign Heads Together, other organisations such as CALM, Mind and Movember, public figures including Stephen Fry, Russell Brand and Ellie Goulding sharing their stories and local events similar to Freedom of Mind occurring across the UK. We all have mental health. That’s a fact. You may have never had any indication of a mental health challenge throughout your life, but you can quickly find yourself in the midst of one at a scarily rapid pace. It can sometimes simply be a turn of unforeseen events. The loss of your job, the loss of a loved one, burnout from your work-the list is endless. Increasing the level of awareness across all walks of life is crucial and constantly needed. However, I believe we need to drive more activity within the action and prevention stages of mental health. As someone who is heavily involved with mental health, I hear countless stories of people struggling to find the right support, struggling to cope with long waiting lists and struggling to even start conversations. So what we can do to drive more resources into the action and prevention realms of mental health? I don’t pretend to have all the answers or understand the complexities of public/private funding for such an important and life transcending topic. However, I know what I can control and that is my own time and energy. 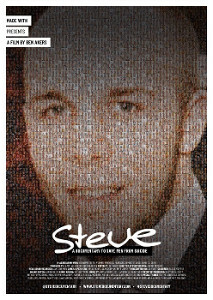 That’s why I’m proud to support and be part of a new documentary on men’s suicide and mental health titled ‘Steve’. The film shares the devastating story of a young man who sadly took his own life. However, this isn’t a film just about loss. It is a film about hope, community and a growing movement of people and organisations taking action to save and change the lives of many. It shares the experiences of people who have overcome mental health challenges and an array of preventative steps and tools that you can take to manage your own mental health so that hopefully you never need to see your GP or a specialist organisation for support. Off the back of this documentary, I am also proud to be co-launching a social enterprise that takes both action and shares preventative tools on how men can take control of their mental health. It’s called Talk Club. Every week in the UK, 84 men devastatingly take their own lives and if you are a man under 45 then the most likely thing that is going to kill you, is you. We are a social enterprise fighting to end this statistic for men and their families. 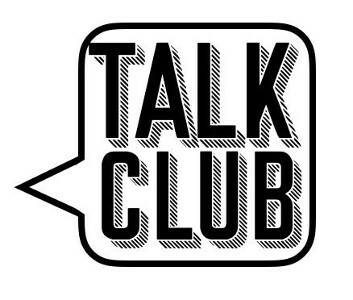 Talk Club is a talking (and listening) group for men. A regular mental kick about, like using jumpers for goal-posts - but for your brain. Set up by you, for you and your mates. It’s not about solving your mates’ problems it’s about listening to them. In addition to the talking group, in the future we are aiming to offer men the chance to benefit from 6 free counselling sessions, workshops on subjects such as mental fitness, building resilience and emotional intelligence, an adult mentoring programme and a wealth of resource on our website through blogs, podcasts and video. If you want to attend the premiere of Steve on Thursday 21st March at 7:30pm in Bristol then tickets are available via St George's. If you would like to find out more about Talk Club then please visit www.talkclub.com or contact us at hello@wetalkclub.com. If you are seeking support for your mental health then please visit your GP. There are also service directories at the NHS, information at Mind and Time to Change. The West of England Initiative and Business West are working closely with local organisations to raise awareness of mental health in the workplace and offer information and advice to businesses. Click here to view the mental health and the workplace hub.